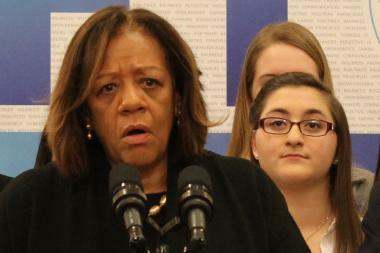 Chicago Public Schools boss Barbara Byrd-Bennett is using TIF funds to expand art and physical education. DOWNTOWN — Chicago Public Schools will plow $21.5 million in tax increment financing funds into 168 teaching positions over two years, equally divided between art and physical education. The jobs, to begin next school year, are intended to address new CPS initiatives to expand art education and bring physical education to all high schools. "Arts and physical education are fundamentally important to a child's ability to learn and grow, and are critical components of a well-rounded, 21st century education," CPS Chief Executive Officer Barbara Byrd-Bennett said. "By incorporating more robust arts and physical education programming into the daily curriculum, we will help boost student achievement, while also placing our students on the right track for healthy living and bright futures in college, career and life." Over the next three years, CPS plans to give elementary students two hours of art education a week, while requiring students to take two art classes to graduate from high school. CPS also is ending the practice of allowing high schools to drop physical education and requiring that all provide daily gym classes. The $21.5 million over two years is coming from what's expected to be the city's declared surplus in TIF funds. Parents and politicians have long campaigned for surplus TIF funds to be diverted back to CPS. Mayor Rahm Emanuel ordered expanded art education as part of the city's new cultural plan, and promised recess as part of the longer school day, but CPS budget cuts last summer frequently targeted art and gym teachers. "In order to benefit from these surplus funds, schools will be required to submit action plans that will determine funding allocations over the next two school years," according to a CPS release. "The district will continue to support principals and teachers at schools that have received funding to ensure the sustainability and success of the program, and ultimately the success of students." CPS insists the expanded art and physical education will help it reach its goal of "every student graduating 100 percent college ready and 100 percent college bound."